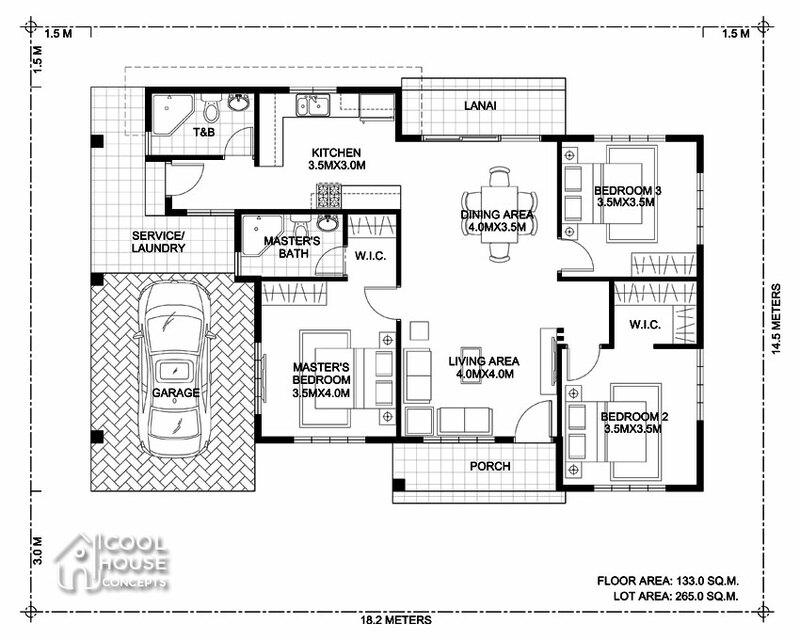 Whether you are thinking to build a house or moving into a new house, or just want to get ideas about how to organize the place where you live, it can be quite helpful to look at house floor plans. 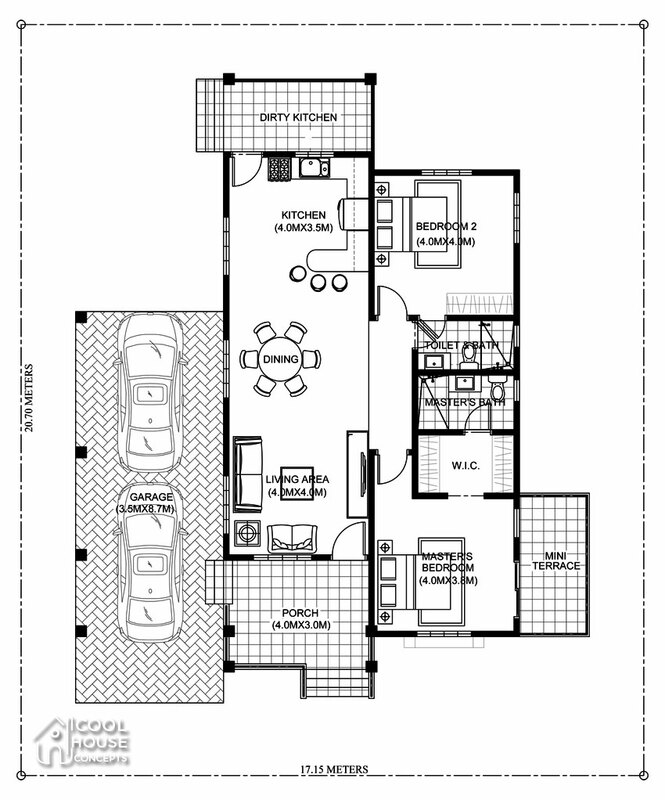 Bungalow house floor plans usually hard to find but these pictures, from professionals and architects, show a difference of ways that the same standards. 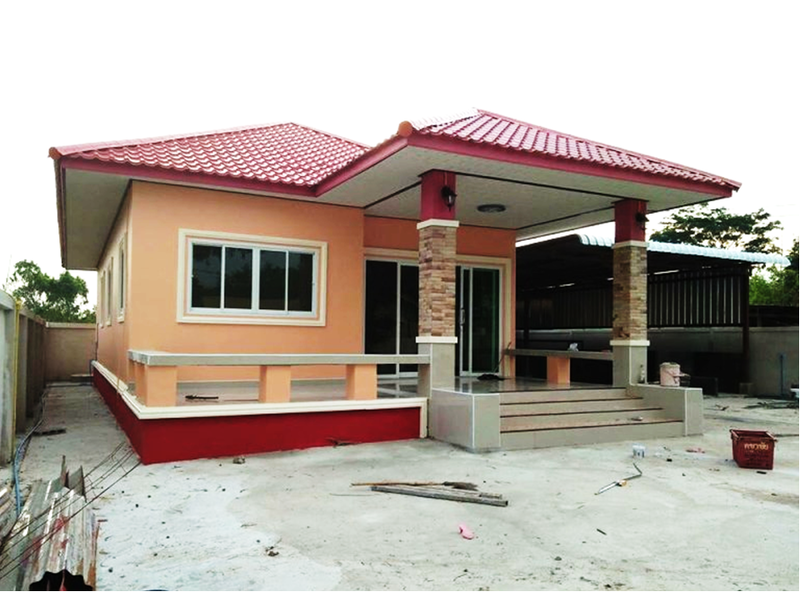 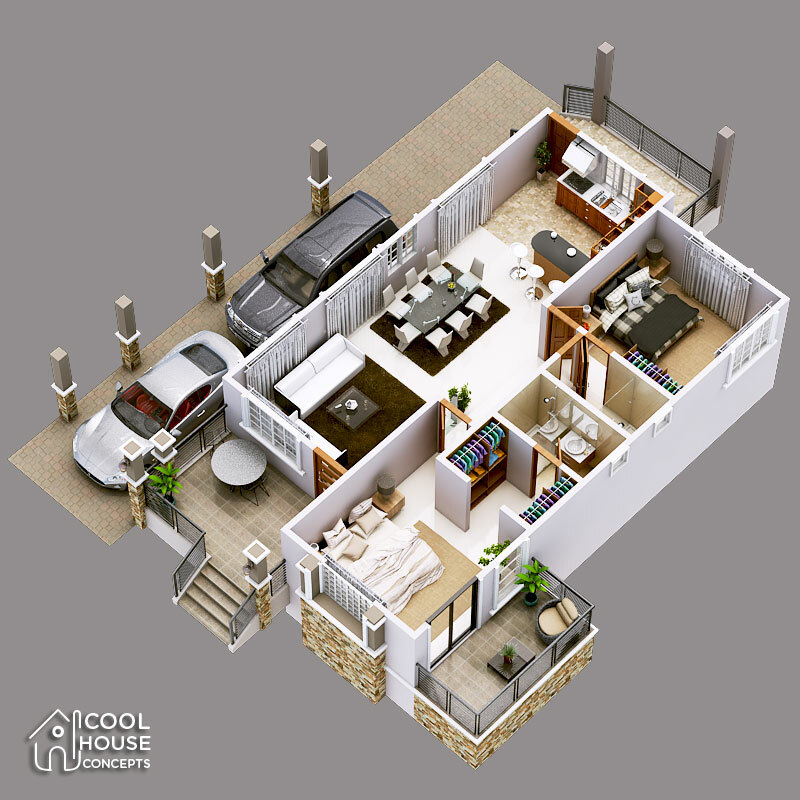 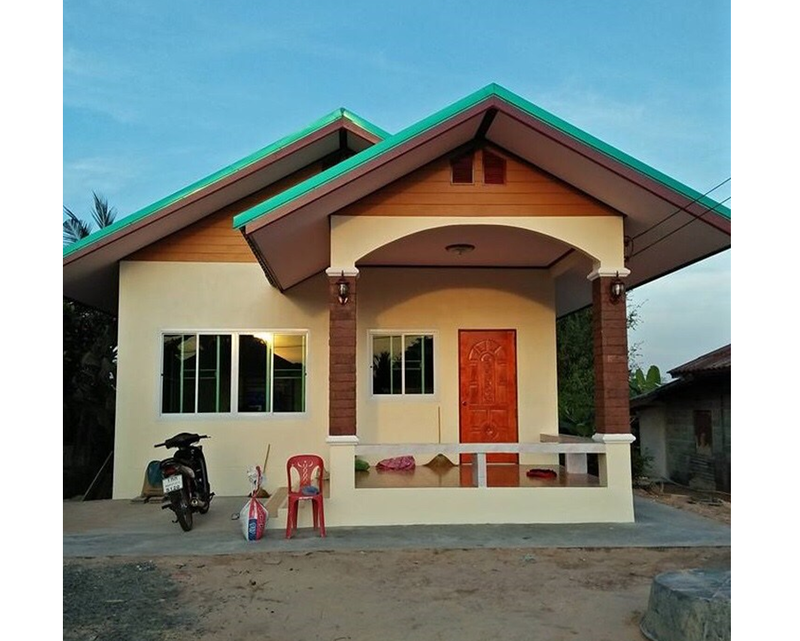 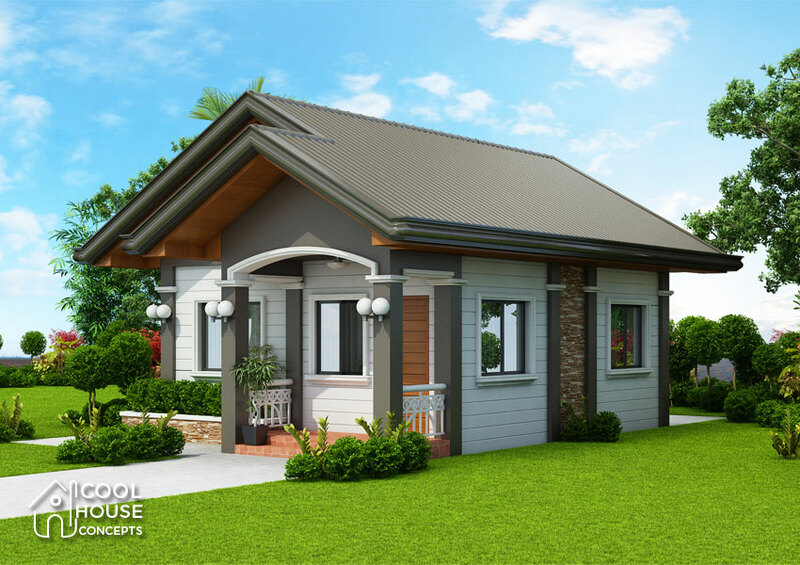 A bungalow house with three bedrooms is a great choice of space and style especially to the newlywed or couples, living room for growing families or accommodating visitors. 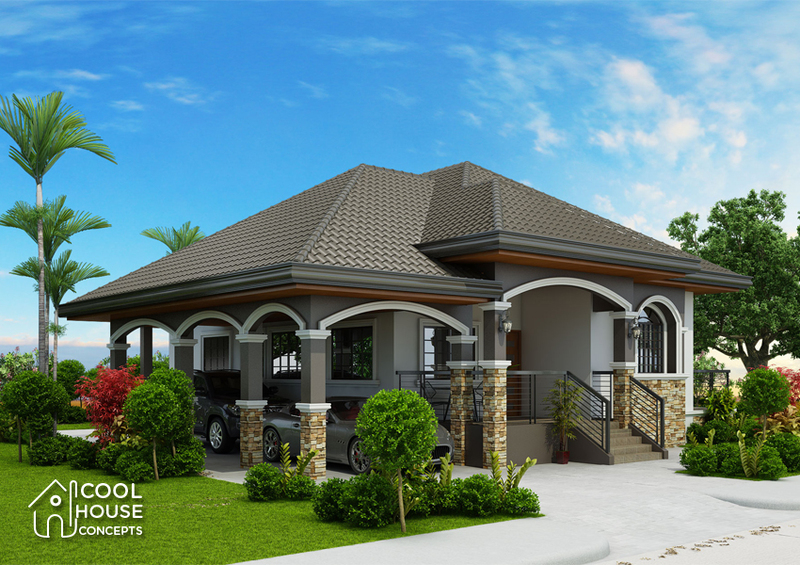 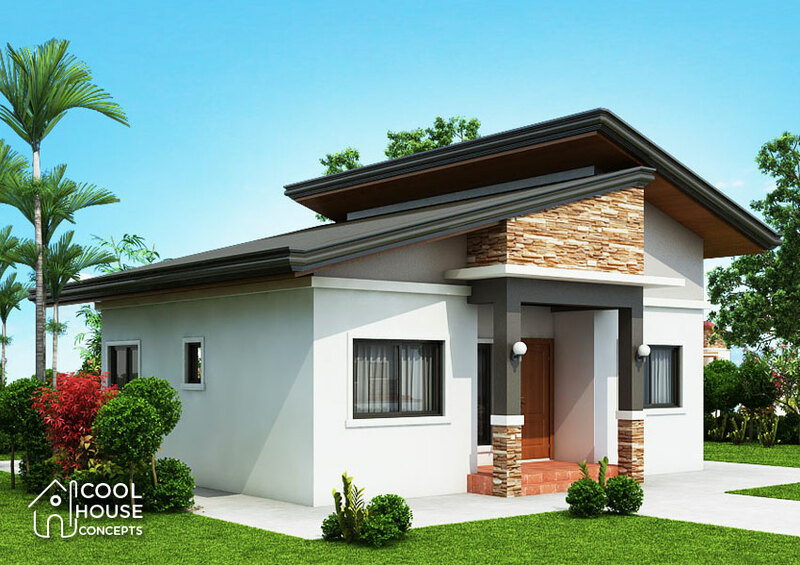 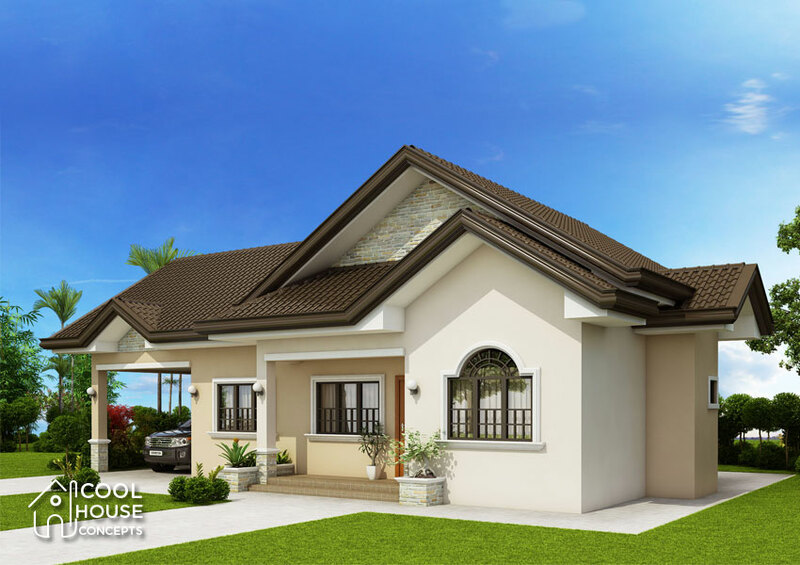 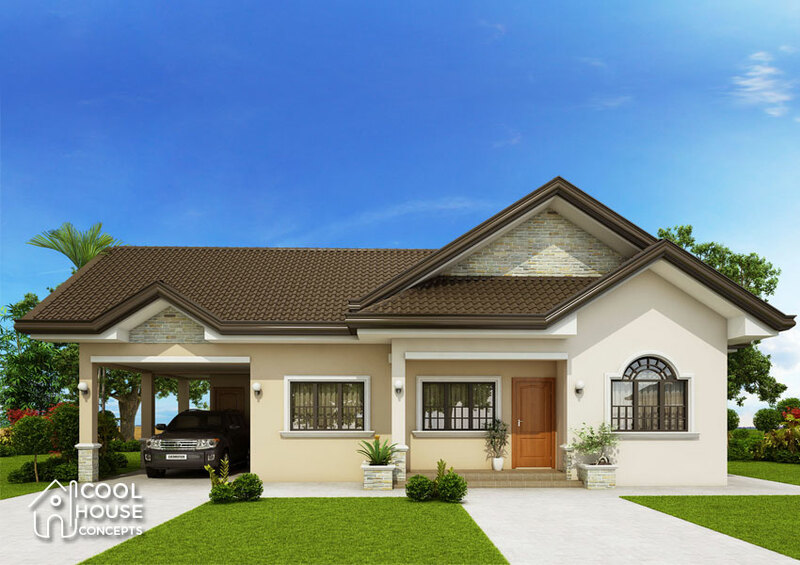 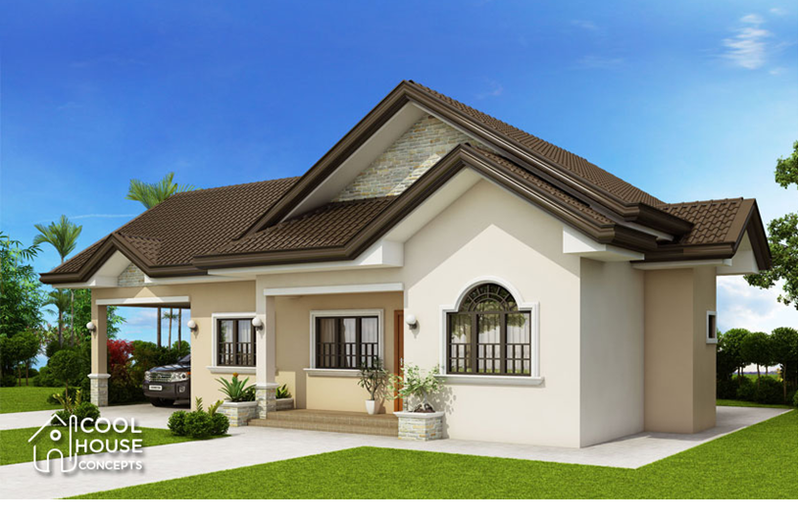 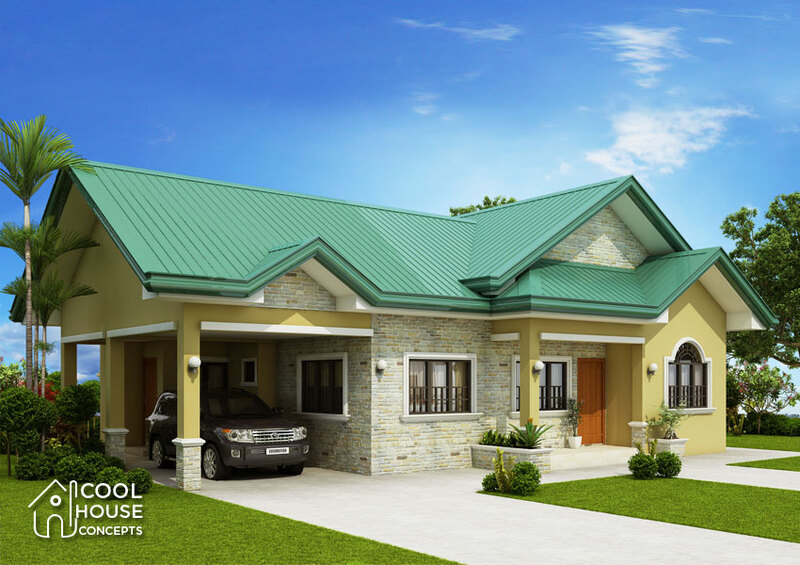 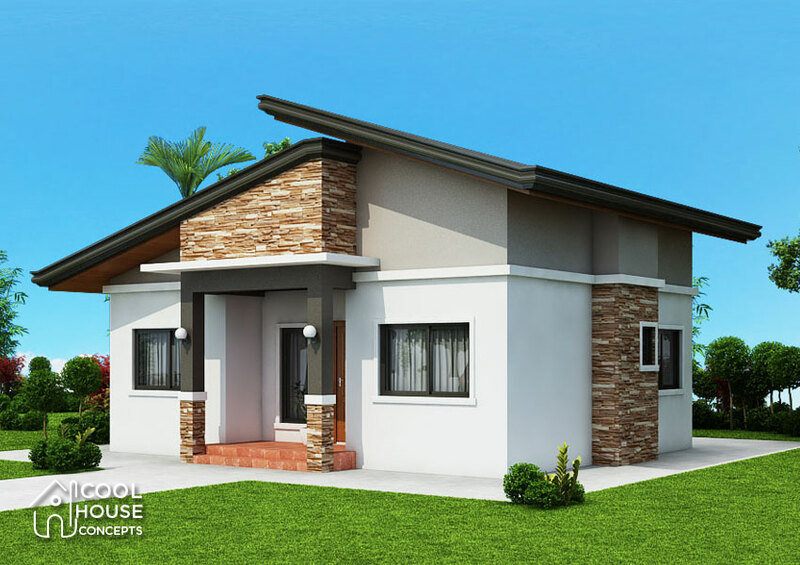 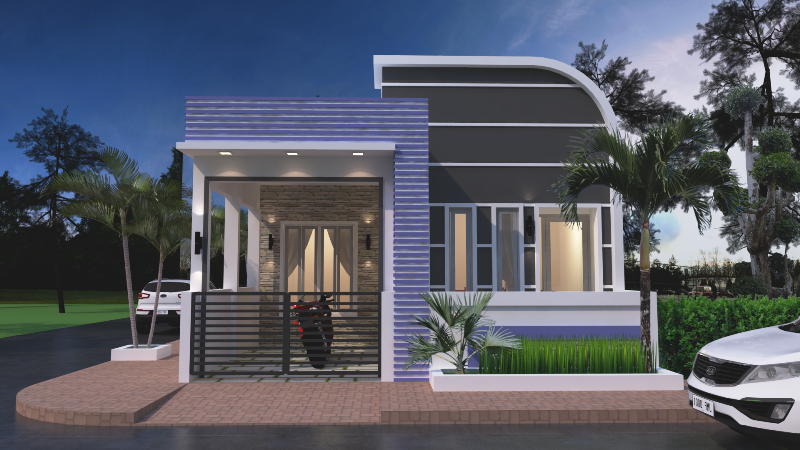 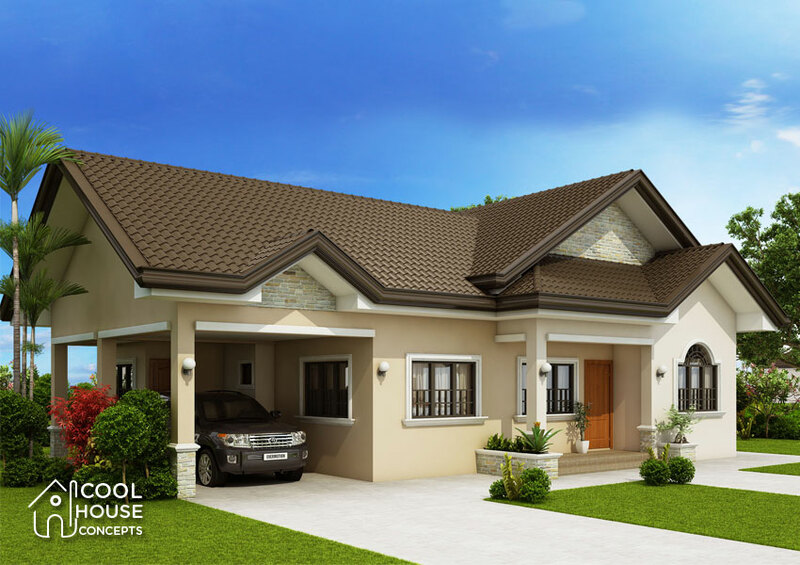 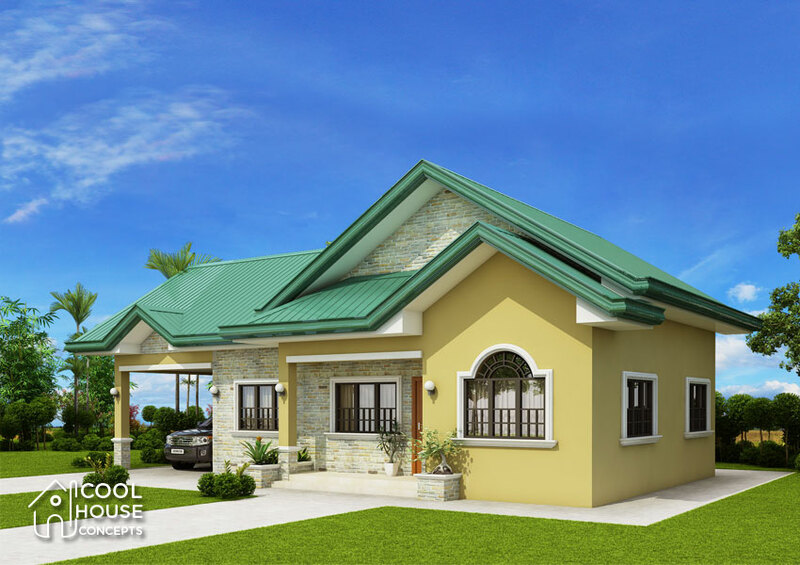 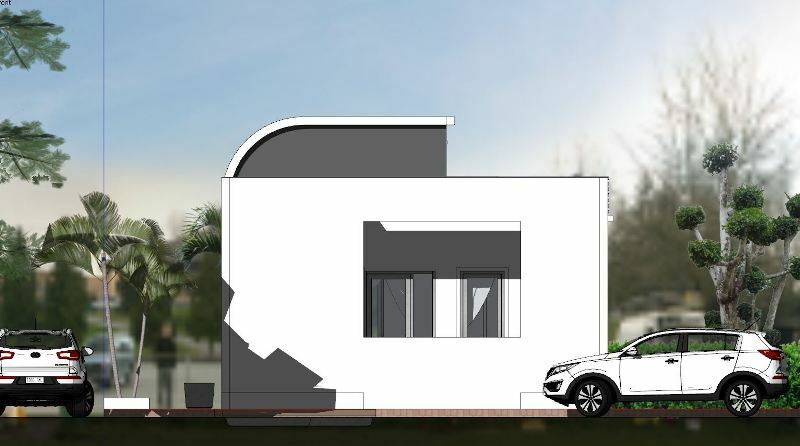 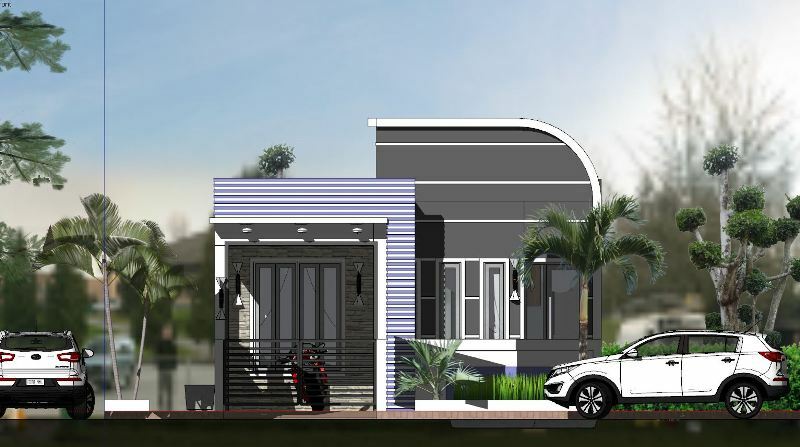 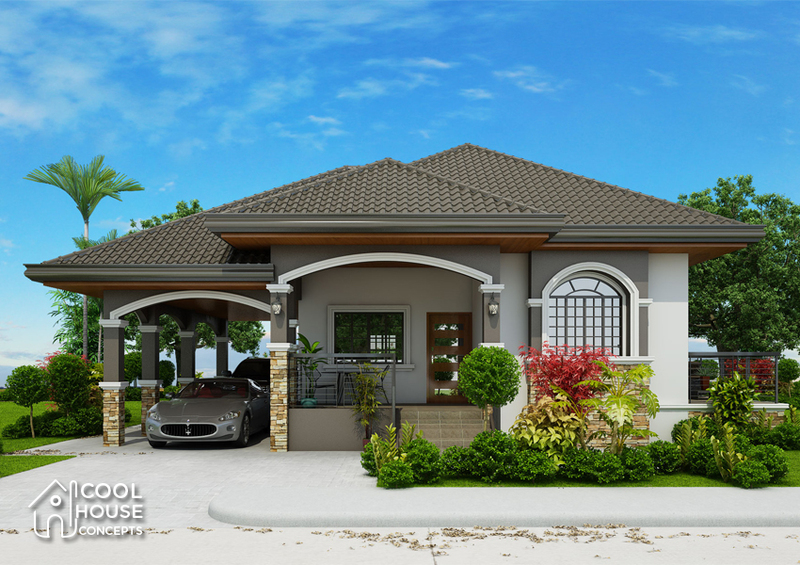 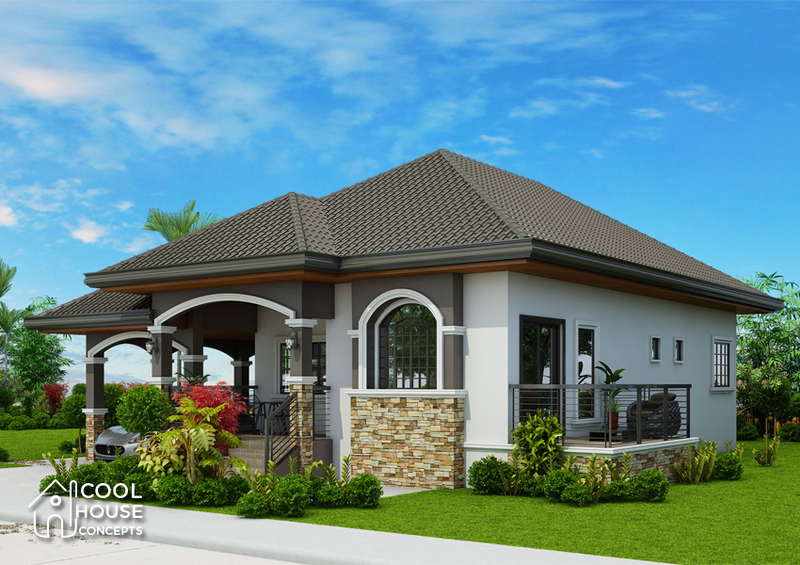 Take a look at these 5 options of bungalow house designs with three bedrooms layout and you're sure to find out that would fit for you and for your family. 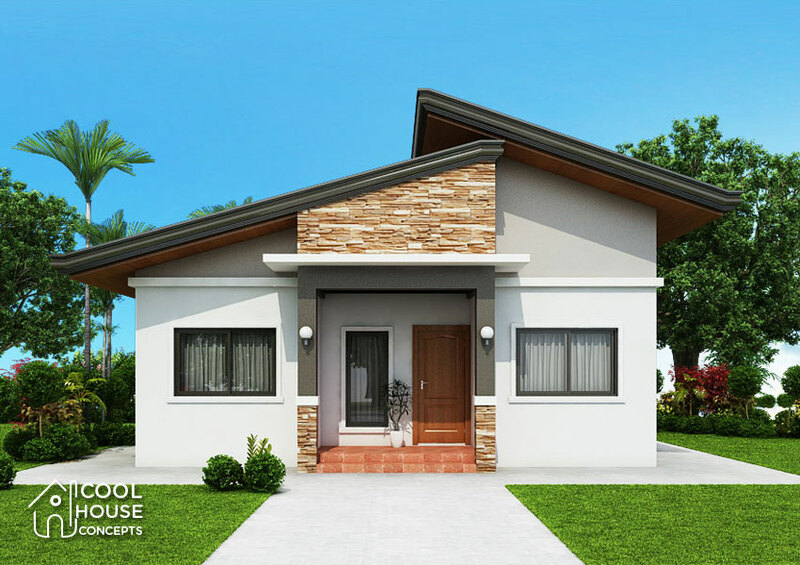 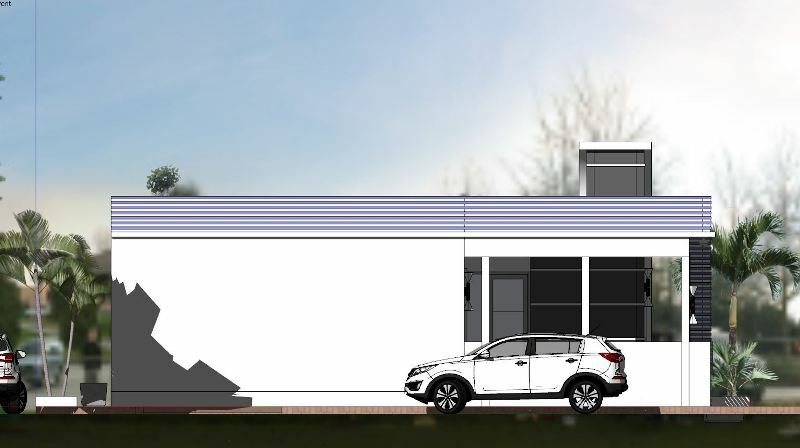 This house floor plan has 3 bedrooms, 2 bathrooms, a kitchen, a living room, a garage and a total floor area of 134 square meters with estimated costs of 61,348 - 71,573 US Dollars. 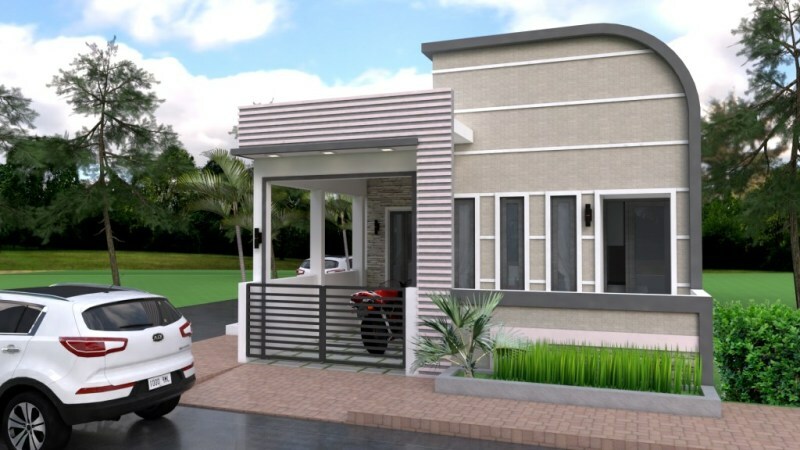 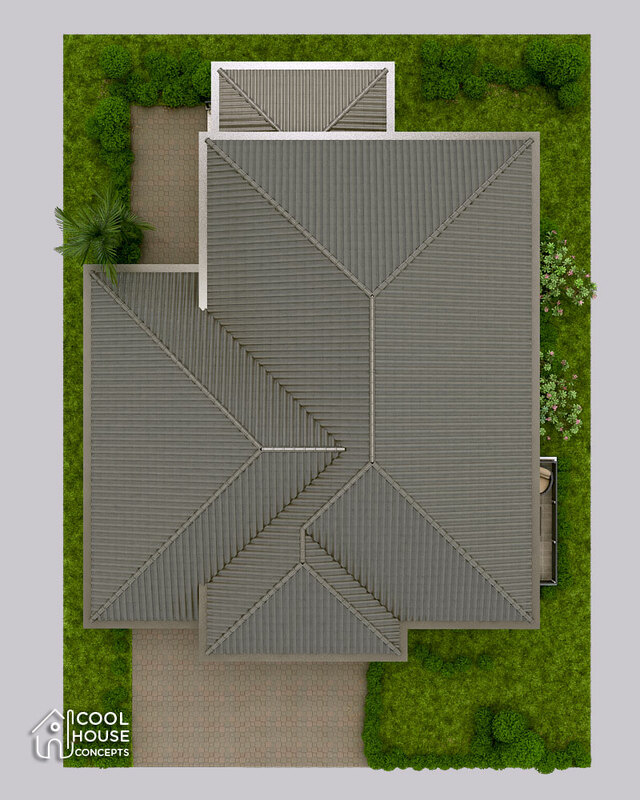 This house floor plan and design have 3 bedrooms and 2 toilets and bathroom and 133 square meters total floor area with estimated costs of 61,348 - 71,573 US Dollars. 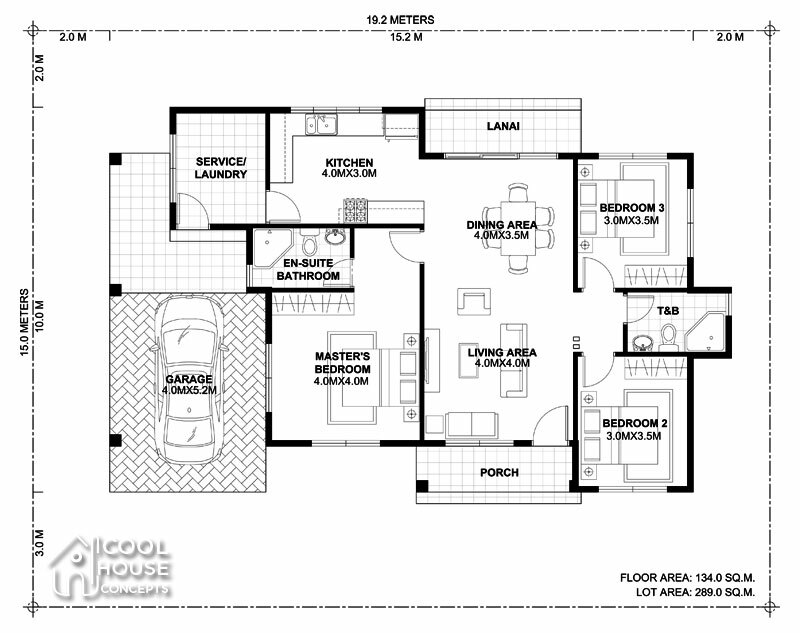 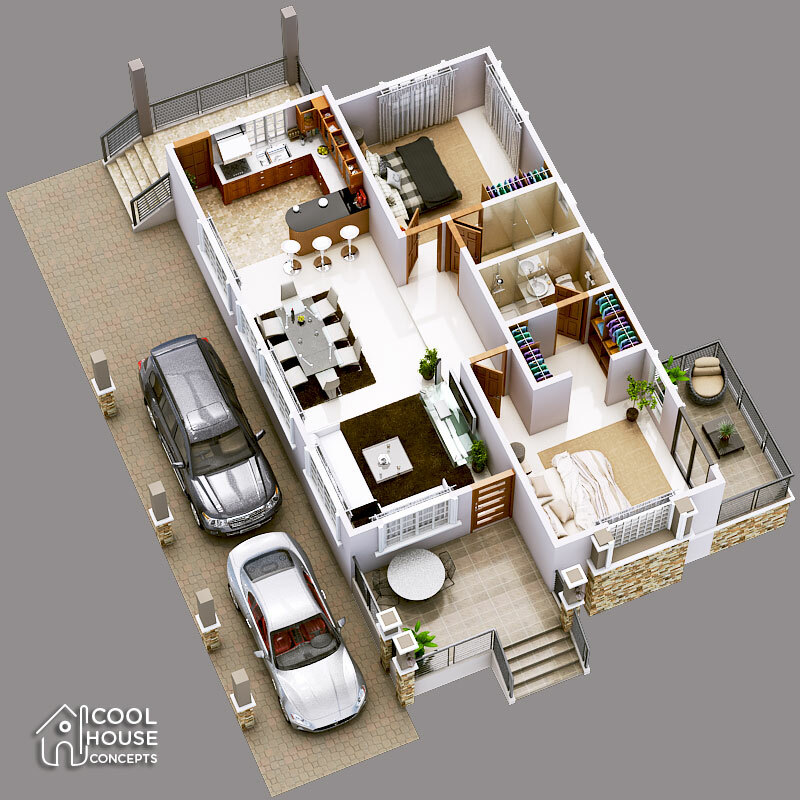 This house floor plan has 2 bedrooms, 2 bathrooms, a kitchen, a living room, 2 garages and a lot size of 355 square meters area. 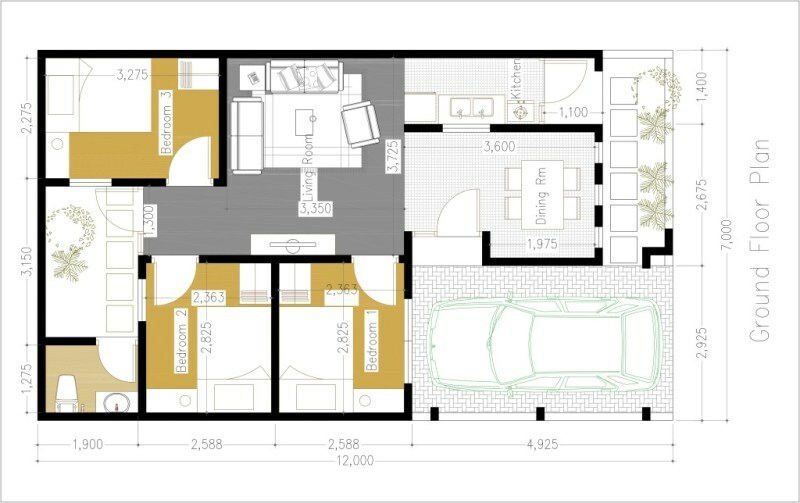 The estimated costs of 68,674 - 80,119 US Dollars. 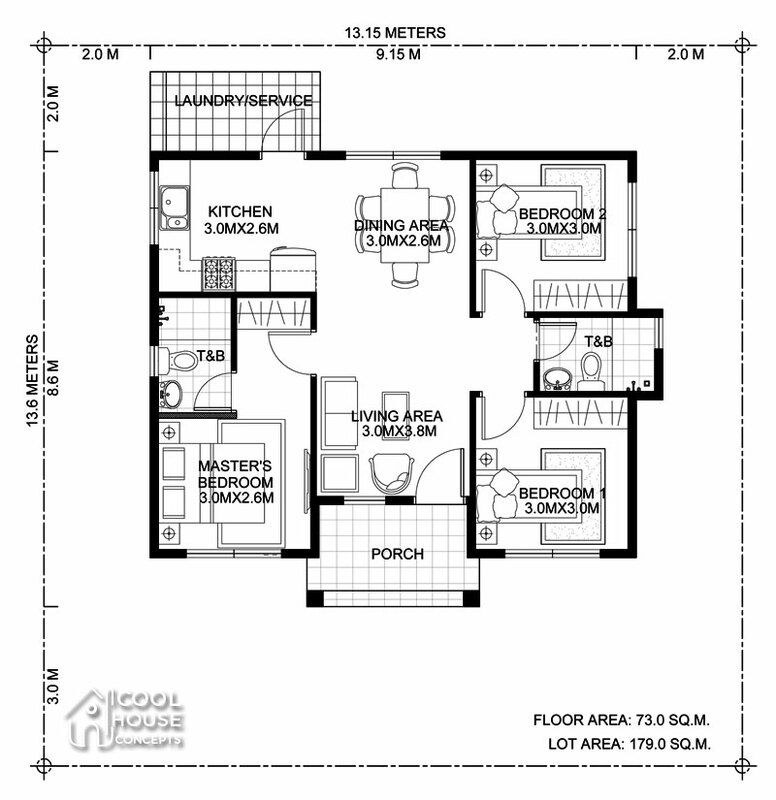 This floor plan consists of 3 bedrooms, 2 bathrooms, a living room, a kitchen with a floor area of 73 square meters and it' is suitable for least 179 square meters area. 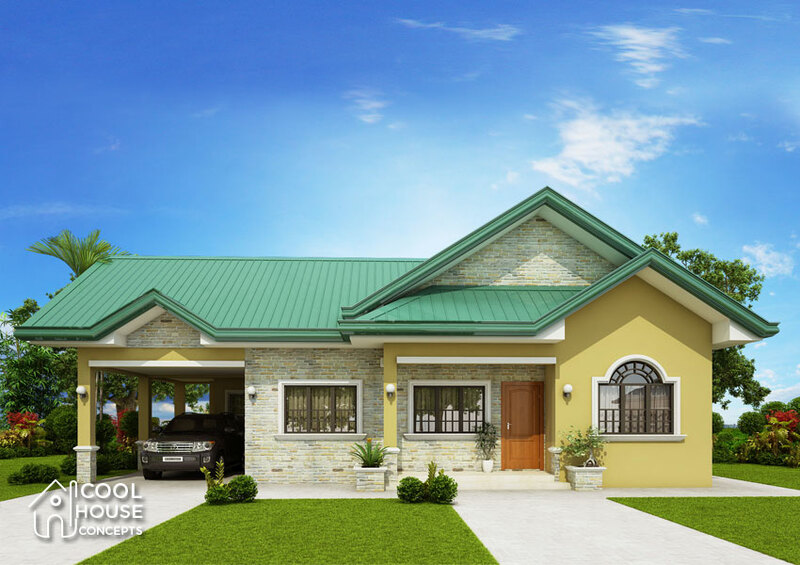 The estimated costs for this house is about 33,463 - 39,040 US Dollars. 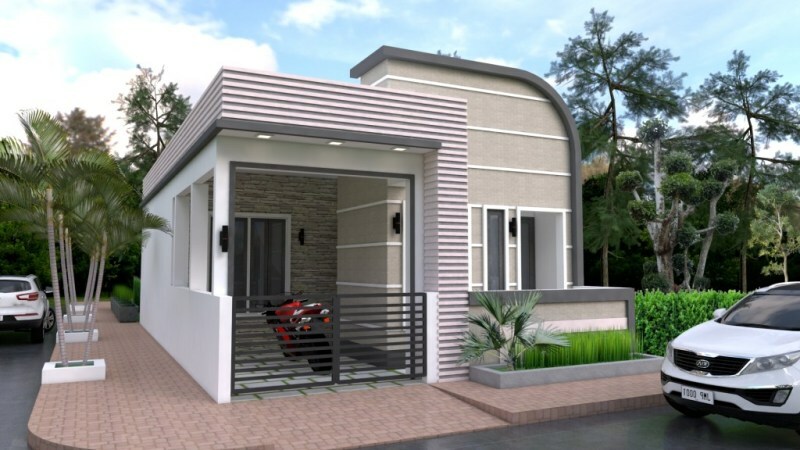 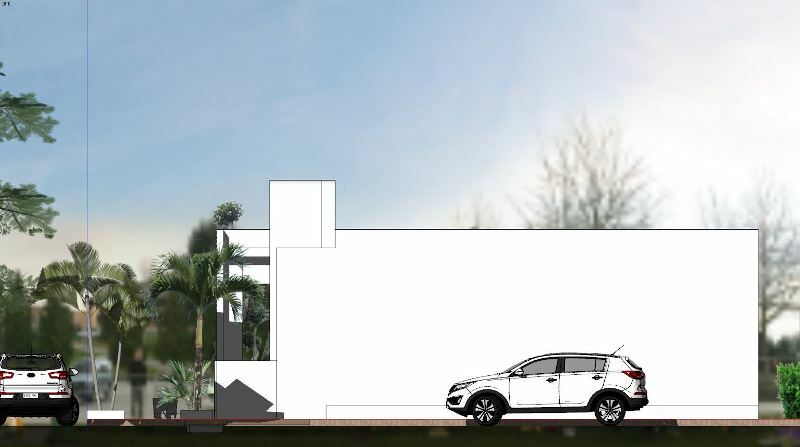 This modern single-sorey house has three bedrooms, 1 toilet and bathroom, a living room, a dining room, and a kitchen with 73 square meters of living space and the estimated costs of 33,463 - 39,040 US Dollars.